His Mama has always made them, especially at Christmas. And they are amazing. Which isn’t hard to believe, because let me just tell you, I have never, ever, ever tasted one thing that my mother-in-law cooked that was not absolutely out of this world scrumptious. You know, I have truly been blessed to be surrounded by phenomenal cooks in my life with my Grandmothers, Mama, and aunts. I count myself even more blessed to be able to learn even a little bit about recipes, cooking, entertaining large crowds, and life in general from my mother-in-law. She is truly the best! So, back to her oatmeal lace cookies. Lace cookies get their name because as they bake, they spread and bubble and bubble and bubble which then forms little holes in the cookies. 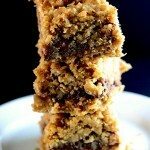 There are so many recipes for lace cookies, but my mother-in-law’s recipe actually originated from a local restaurant where special parties and luncheons were often held. They’ve since closed, but thankfully had given my mother-in-law the recipe before they did so. 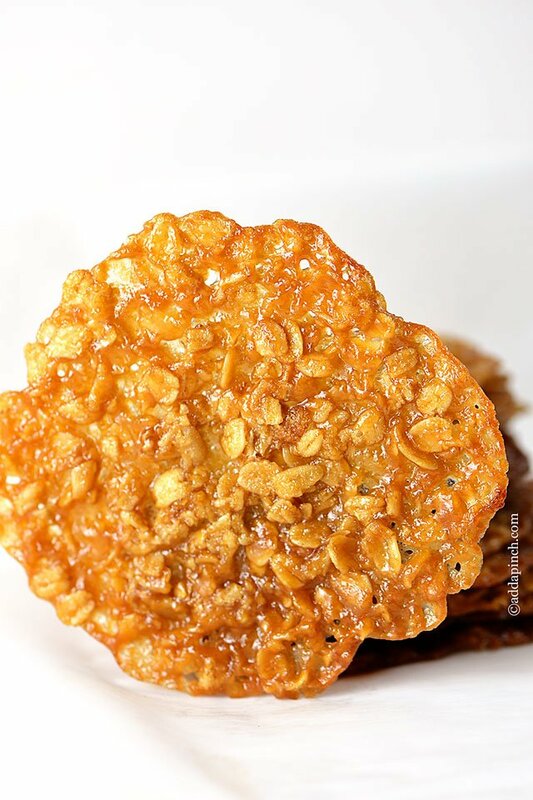 This oatmeal lace cookie recipe makes a whole lot of cookies. I mean a whole lot of cookies, close to six dozen. 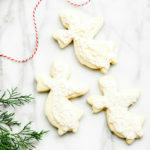 That’s what makes this lace cookie recipe so perfect for Christmas cookies. There are plenty to share and still have a few to enjoy! Come to think of it, maybe that’s why my mother-in-law makes them each year for her huge family. 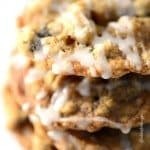 Here’s the Oatmeal Lace Cookie recipe my family loves. One warning though, they are buttery and oh so addictive. 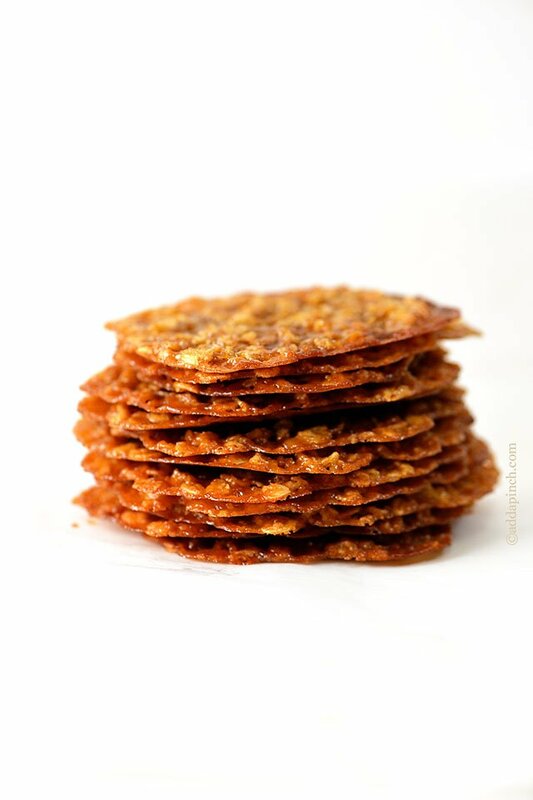 Oatmeal Lace Cookies are thin, crisp, delicate and buttery cookies. 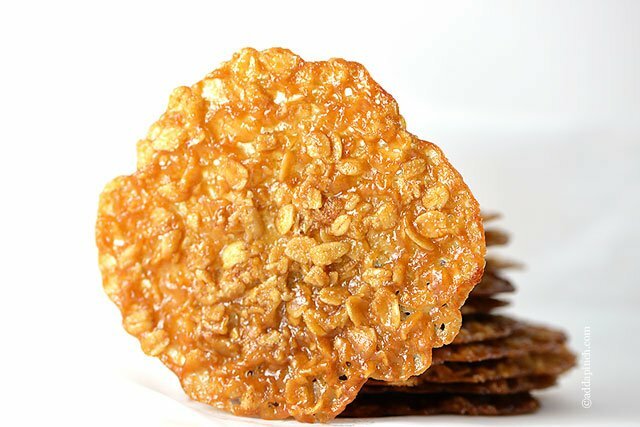 This lace cookies recipe is a family favorite. Make sure to use real butter and not margarine as it will impact the results of the cookies. You can prepare the dough and store in an airtight container in the refrigerator for 3 to 5 days. When you are ready to bake, drop the dough by teaspoons onto parchment lined baking sheets 2 inches apart and follow the recipe baking instructions. 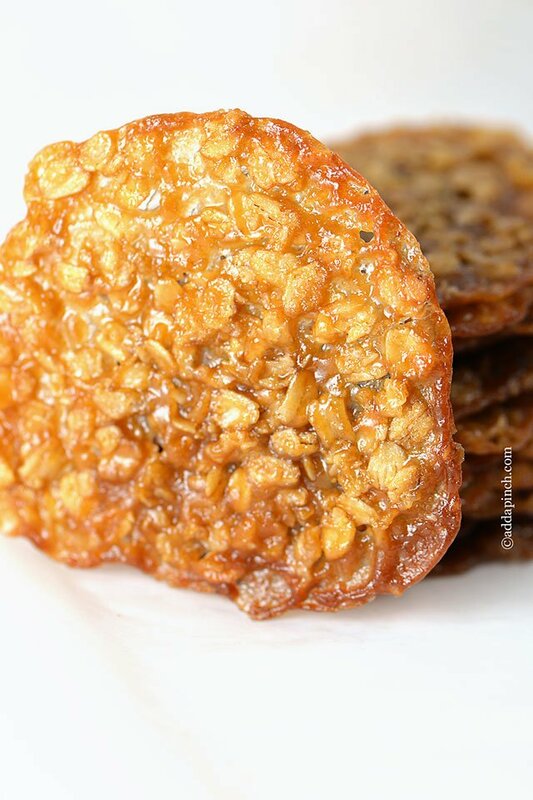 Freezing Oatmeal Lace Cookie dough: Drop dough by teaspoons onto a parchment covered baking sheet. Cover and place in the freezer for 1 hour or until the dough is frozen. 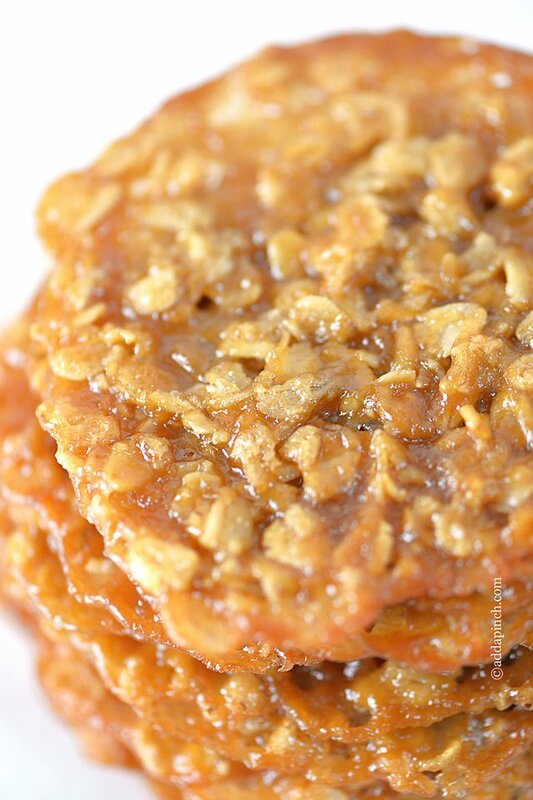 Remove from the freezer and place the cookie mounds into airtight containers or freezer bags. Label the bag with the date and name of the cookies. When you are ready to bake the cookies, remove the container from the freezer. 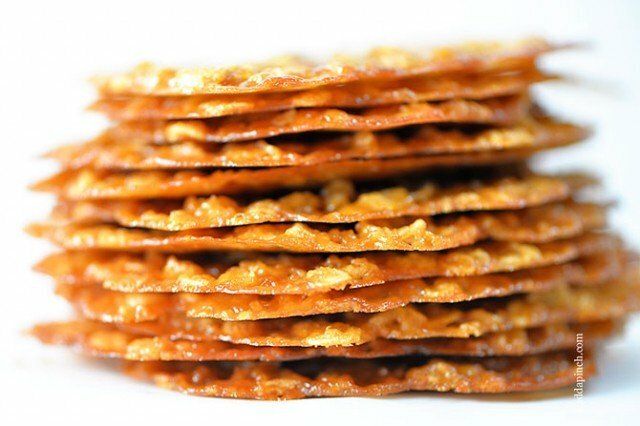 Remove the number of cookies from the container that you wish to bake and place them at least 2 inches apart on a parchment lined baking sheet. You will not need to thaw the dough before baking. Bake as directed in your recipe but you will probably need to add a couple of extra minutes to the baking time. Storing baked cookies: Cool the baked cookies thoroughly. 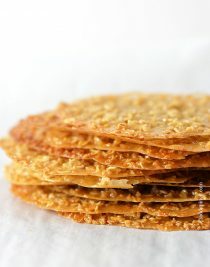 Layer cookies between pieces of parchment of waxed paper and place into an airtight container. These cookies should keep up to 1 week. These were fun to make, thank you so much for the recipe! They tasted fantastic! I gave them out to friends and family and everyone raved about them. Thanks, Linda, for sharing your way of making these cookies so that your grandchild could enjoy them. 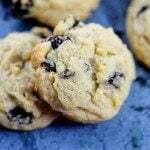 We have family with egg and other food allergies so I know how difficult it can be sometimes to make recipes that they can enjoy, too. I’m so happy you enjoy these too! I’ve not ever made these with less sugar than I have in the recipe. 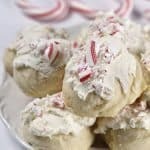 I’m not sure exactly why they are not spreading like the ones I share in the pictures… make sure you are using a teaspoon to drop the batter onto parchment and leave plenty of space between each cookie. This should make a LOT of cookies. I hope this helps. Thanks so much!